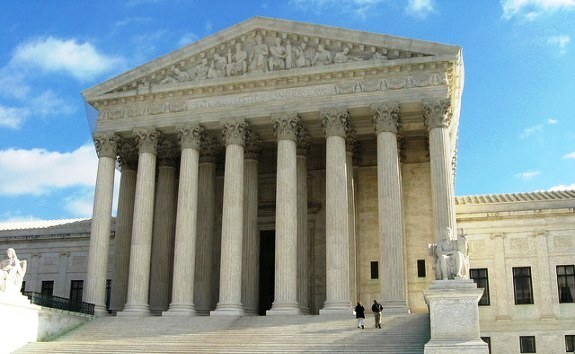 The Supreme Court dealt a blow to the restrictionist movement on Monday by striking down three provisions of Arizona SB 1070 and leaving a fourth vulnerable to future challenge. But in a lesser noticed development, the Court also undercut the arguments of critics who contend the President violated the Constitution by recently directing his administration not to deport otherwise removable immigrants who were brought to the country as children. As the majority opinion confirmed—and not even Justice Scalia denied—the President’s authority to set enforcement priorities is a valid and important aspect of the immigration system. While the specifics of the administration’s new policy (described in more detail here) were not before the Court, the issue of prosecutorial discretion was present from the outset of the litigation. From the beginning, the Obama administration argued that Arizona SB 1070 should be struck down not only because it conflicted with federal immigration laws but also because it interfered with federal enforcement priorities—i.e., immigrants who have committed crimes, repeatedly violated immigration laws, or recently crossed the border. For its part, Arizona largely mocked the suggestion, saying the administration’s argument would permit the President to “pick and choose” which state laws should be struck down by courts. In a scathing dissent, Justice Scalia detoured from the merits of the case to attack the administration’s new discretion policy toward immigrant youth. According to Scalia, the policy would consume rather than save government resources and burden Arizona residents with more “illegal immigrants who invade their property, strain their social services, and even place their lives in jeopardy.” But while Scalia clearly thought the administration’s policy was unwise, nowhere did he claim it to be unconstitutional. Nor could he, for as Scalia himself recognized in a 1999 opinion, the decision to grant a deferred action request neither requires statutory authorization nor is subject to review by federal courts. Thus, regardless of whether one supports the use of prosecutorial discretion in general—or the new policy toward immigrant youths in particular—Monday’s Supreme Court decision should settle any questions about the executive branch’s authority to set removal priorities and exercise prosecutorial discretion.